The Payment of Gratuity (Amendment) Bill 2018 was passed in the Rajya Sabha. 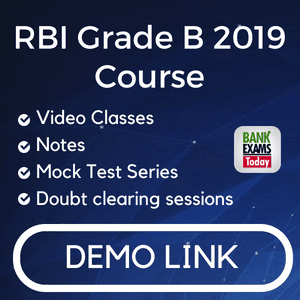 Santosh Gangwar, the Minister of State (Independent Charge) had initiated the passage of the Bill in Lok Sabha in December 2017. The Bill was approved in the Lok Sabha and now after getting approved in Rajya Sabha, it will now go to the President for his assent. 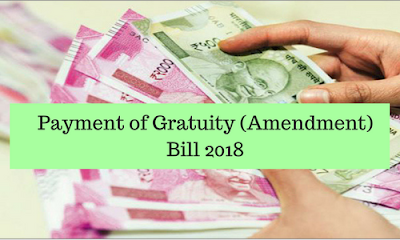 The Payment of Gratuity (Amendment) Bill 2018 will replace the Payment of Gratuity Act, 1972. Gratuity is basically a retirement benefit (which can be a gift or a sum of money) given by an employer to its employee for the services rendered by the employee. The basic criteria to receive gratuity is that a person should have completed at least five years of service with an organization/enterprise. 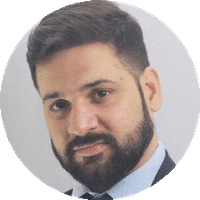 The gratuity amount is usually paid at the time of retirement or on his superannuation but can also be paid before retirement provided certain conditions are met. a) the death of the employee. b) if the employee becomes disabled due to some accident/disease. The Act was passed by the Parliament on 21st August 1972 and the act came into force on 16th September 1972. This Act is applicable to people/employees working in factory, mine, oilfield, plantation (coffee, tobacco, and sugar), port, railways, and every shop in which ten or more people are employed. Gratuity can be paid by the company from its own pocket or through any Group gratuity plans of some insurance company, in which case employer makes all the payment. The amount of gratuity that an employee is supposed to get cannot be determined by any set percentage stipulated by law. Instead of a percentage based approach, there is a formula based approach which an employer can use to pay its employee. a) Employees covered under the Act. The formula is based on the 15 days of the last drawn salary for each completed year of service or part of thereof in excess of six months. Years of service are rounded off to the nearest full year i.e. if a person has worked for more than six months, it will be considered as one year. Formula: [(15/26)* last drawn salary * tenure of service]. The ratio (15/26) represents 15 days out of the 26 working days in a month. The gratuity amount can be calculated, based on the half month’s salary for each completed year. Years of service are not rounded off to the nearest full year i.e. If a person has worked for more than six months, it will not be considered as one month. Formula: [(15/30) * last drawn salary * tenure of service)]. The limit of the taxable amount has increased from 10 lakh (at present) to 20 lakh for employees falling under the Payment of Gratuity Act. Before the implementation of the 7th Pay Commission, the ceiling of the gratuity amount for central government employees was Rs 10 lakh, which is now doubled to Rs 20 lakh after the implementation of the 7th Pay Commission. The Bill seeks to allow the maternity leave (26 weeks) available to women employees as part of service period while calculating the gratuity i.e. this Bill will entitle women to 26 weeks of maternity leave instead of the 12 weeks. As per the Bill, gratuity amount will be paid to the employees engaged in both public and private enterprises/organizations. In case the employer does not pay the gratuity amount to the employee within the prescribed time, the employee has the right to file a complaint with the Controlling Authority. The employee can even approach the Labour Courts to get justice.